I was having way too much fun with these. I appropriately named them “skinny maracas” and at times I felt as though I was a back-up dancer in a salsa band (minus the big hair and tight dress with a side split). Don’t let the lightness of the resistance sticks fool you. Initially, I scoffed at the lack of weight but after doing high repetitions of side merengue or salsa steps, while executing a military press or tricep extension, I began to feel fatigued. 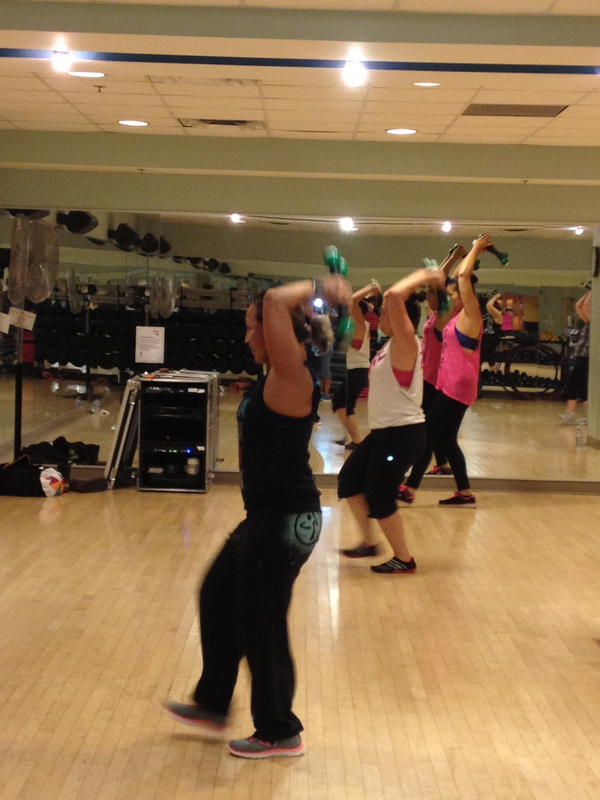 A full body circuit type of workout, the first portion included a warm up with traditional Zumba moves. Next, was a high intensity cardio portion, with the ultra fast and pulsating beat of the Merengue, upbeat tempo Salsa, and slow and controlled Reggeaton. The second portion of the class focused on the strength training. The resistance sticks did more than offer resistance alone, but helps with coordination with steps by keeping the rhythm, agility and balance. It was a challenge to do a standing leg extension to the sounds of the Tejano beat, all while doing an overhead military press or tricep extension. We also did some lunge and squat combinations, ballet squats, and waist twists with the sticks to add some work to the core and legs. I really can’t argue there, as I mambo stepped my way home feeling energized and good. Did you Hug a Vegetarian Today? wow – amazing – you give energy and positive motivation! Thank-you very much, Mihrank. I appreciate your comments. That’s one thing I like about Zumba and aerobic salsa, everybody has smile. 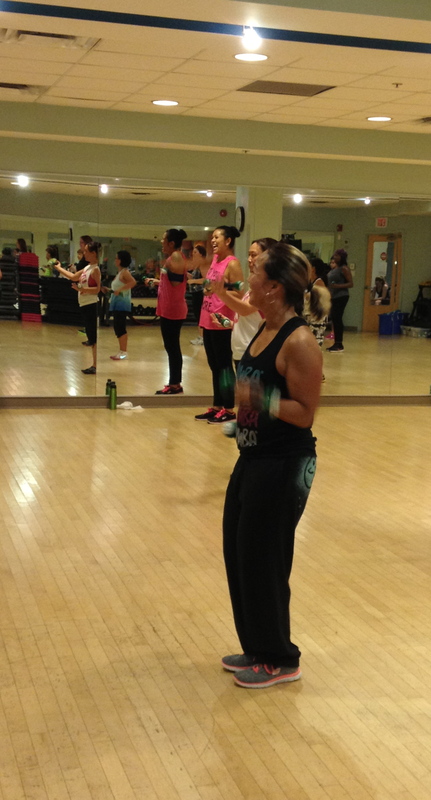 It’s impossible to do a Zumba class without smiling and shaking it! And lifting 2 pounds for an hour will make your arms ache! I can just see you as a back up salsa band dancer shaking your ‘skinny maracas’! Haha! This comment made me smile 🙂 I may just have to go back to get my back up dancer perfected. You’re totally right, the high reps and hour long class was a challenge although the sticks are light. My arms were feeling it. 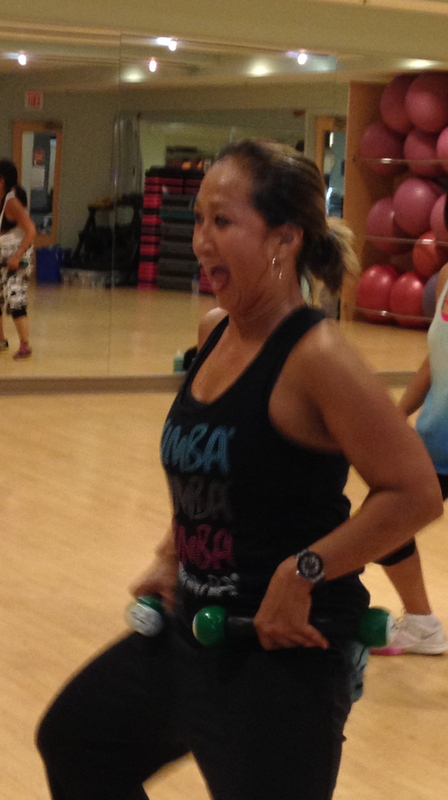 Zumba makes people happy. It’s so much fun! When it comes to health & fitness, the most commonly overlooked aspect is happiness. People make a choice to be healthier and more fit but they forget that in order to adopt a long-term, sustainable fitness plan, they must do so in a way that makes them happy each time they partake in fitness oriented activities. Being healthy and fit can bring happiness but we can never get there unless we are happy along the journey to getting there. For me, lifting really really heavy objects in a gym does the trick and keeps me constantly happy. Glad to hear that you’re finding your own “happy activities” on your fitness journey! Keep it up. So very true. Many people look down on Zumba as not being real exercise, but I know it brings joy to the participants. Myself included! I love lifting heavy to obtain mass. Will I get this in Zumba? No. So that’s why the weight room floor comes in handy for me. Exercise should raise those endorphins and make you happy, no matter what you do. 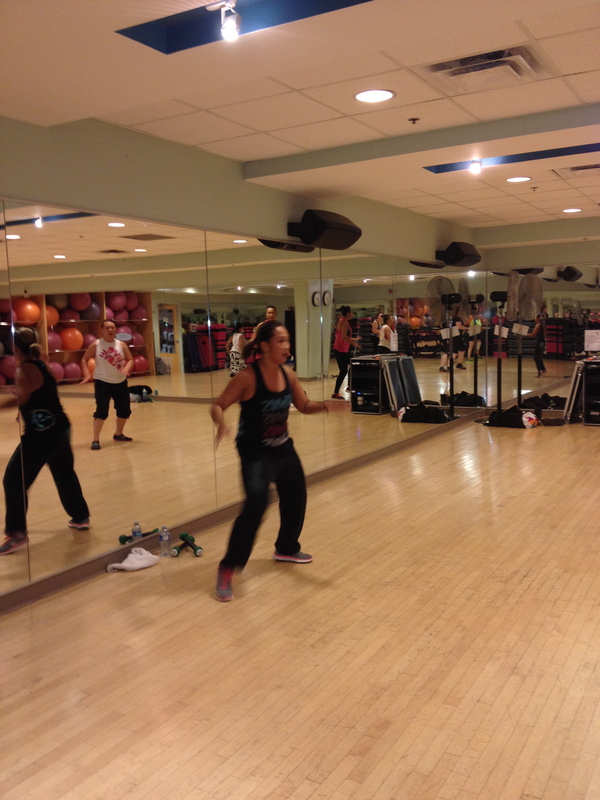 Well heavy weight training definitely has a time and place but Zumba is a great cardio burn! You decide how much you want to bring up the intensity is what I love about it. That and anyone can do it whether you are 21-101!! Skinny maracas…I love it! Keep shakin’!! Absolutely. You can add a hop or extra jump in Zumba or keep in low. It really does make me joyous. I will keep on shakin’ the skinny maracas, and hope to return next week.